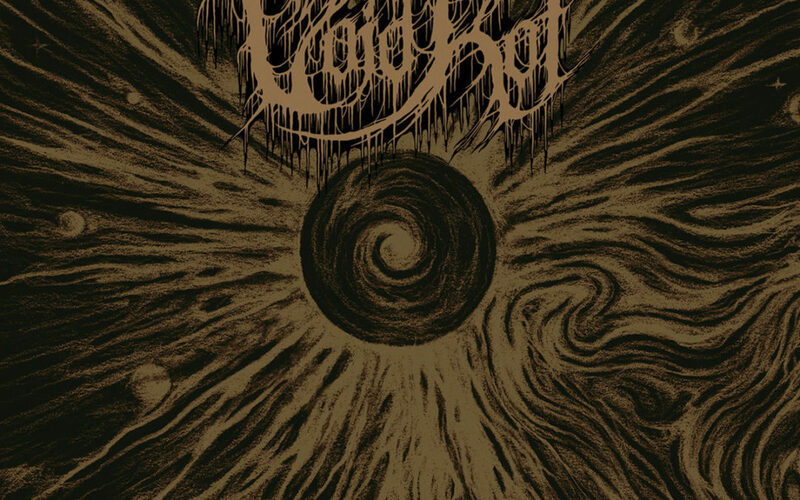 If you haven’t heard of Void Rot, the psyche consuming MinnDeath project from Minnesota, you’ve probably been living in a cave somewhere. Consumed By Oblivion is the quartets debut offering to the void and runs just shy of 16 minutes over three tracks. Though that doesn’t sound like a lot on which to hang your hat, the band makes a significant statement in those three songs, significant enough, in fact, to draw the interest of both Sentient Ruin Laboratories and Everlasting Spew Records. An LP version is out this month. Recently, I caught up with guitarist/vocalist John Hancock to answer a few questions. Read on to find out more. Hayduke X: You guys are a pretty new project. What is Void Rot all about? John Hancock: I wish I could give a cool answer like “opening your mind to realize you are the Stargate” but it’s really just four dudes playing metal! HX: How did Void Rot start? JH: The core of VR started when I (John, guitar/vox), Kent (guitar), and Will (drums) met at work one day. It was “casual Friday” and we were all wearing different band shirts. I think Will was wearing a Blind Guardian shirt, Kent was wearing a Deathspell Omega shirt, and I was wearing a Municipal Waste shirt. Then we all looked at each other and were like “hey, metal.” Realized we all played instruments, jammed a bit and met Craig through another co-worker while we developed our sound. At first we were more OSDM, then a weird atmo-black phase, and now we’re here. HX:What are your key musical inspirations? JH: The clearest influences are Krypts and Spectral Voice but the whole Finndeath scene is awesome – old school Amorphis, Rippikoulu, Slugathor, Desecresy. Since we’re from Minnesota, a state with a long history of Finnish heritage, I’m trying to get the MinnDeath moniker going. It’s funny though, because Will is mostly into black metal, and doesn’t listen to much death metal in general, so I’ll play some riffs off Karelian Isthmus or something and he’ll just sort of naturally play the drum parts on the album, without knowing that what it is. The Finndeath sound has its characteristic heaviness, but IMO an overlooked part is the drum rhythms and Will does a great job playing in that style, even if he doesn’t know it. HX: The EP Consumed By Oblivion came out in August. How has it been received so far? Does the album meet your expectations? JH: I think it’s been received fairly well – we haven’t gotten any hate mail at least! A lot of reviews highlight the production as a high point of the EP, which I agree with, and that is thanks to the amazing Adam Tucker of Signaturetone Recording in Minneapolis. He runs the Minneapolis doom equivalent of Kurt Ballou’s GodCity. Adam did an awesome job of capturing our sound organically with very little “tinkering” if you will. There’s a few things that looking back I wish we could’ve fleshed out a bit more, but for a debut EP, I’m pretty satisfied. HX: Tell me about your writing process. JH: Usually when I have a new riff or idea, I’ll work it out on my own and get an idea of what sort of drum pattern would sound good. Usually I’ll be listening to something that will spark a new riff/idea so I generally will send that song/album out to the rest of the guys. For working out harmonies or “leads” (like the last part of “Celestial Plague” or after the first vocal section in “Ancient Seed”) I’ll use something simple like a looper or record a scratch track so I can play around with what would work over the rhythm. I’ll generally have an idea of what to do for drum parts and we’ll start off with a basic pattern and work out where to accent/what sort of fills. I’d say songs are 85% finished when I show them to the band and Kent especially does a good job figuring out if we’re doing something too many times/not enough. HX: What’s in the water in Minneapolis? It seems like there’s a pretty incredible metal scene there. JH: Absolutely. The secret is that all the water here is actually ice because it’s so cold so we just spend all our free time inside writing metal. It’s sort of funny though because here we were considered “outsiders” to the scene. A lot of the people in the bigger bands are in other bands or set up shows and we just sort of popped up on our own this year. When CbO came out and we played a couple local shows, people would say “wait, so what other bands are you guys in? You aren’t familiar.” I took it as a compliment that we were doing something different here, locally. But the local scene has been really supportive, and vice versa. We’ve all been going to local shows for as long as we’ve lived in the Minneapolis area so it’s cool for us to be on the other side. HX: Consumed By Oblivion was released by Sentient Ruin from California. Tell me how that worked out. JH: So, once we had a decent original song (that would become “Ancient Seed”), we figured “hey it would be cool to release a demo and see if anyone digs our stuff.” So we wrote a couple more songs, and as we were rehearsing to get ready to demo, I found Stephen Wilson (Unknown Relic – NOT the Porcupine Tree guy) and contacted him about doing a logo and some album art, and sent him demo tracks. While he was working on the logo, he showed some logo drafts to a friend who then wanted to hear the demos. That friend was Mattia, the mastermind behind SR, and through Stephen we found out Mattia wanted to collab on a cassette release. We got in contact with each other and it sort of snowballed into an official thing and here we are. HX: The CD version was released by Everlasting Spew, which is a small, but up and coming label from Italy. Tell me how you ended up connected with them. JH: This is a sort of funny story – once we had plans figured out for our EP release with SR, Mattia thought it would be good to have a co-release partner for Europe. At the same time I had accidentally posted our EP on Bandcamp. I took it down several hours later after Mattia let me know it was up, but in the meantime Tito from ES had found it “while [he] was up late looking for some new death/doom.” Tito sent me a message and since SR had collaborated with ES on the Assumption release earlier this year (Absconditus), it all ended up working out great. I’ve been nothing but impressed with both labels. Absolute support from everyone. HX: What lyrical theme or themes are present in your music? JH: I used Stephen’s excellent album art as sort of a guide – what would it be like to have a rotting, decaying disease fill the galaxy and slowly spread across consuming everything in its path? Sort of like Unicron from The Transformers: The Movie. HX: What’s next? Will we be hearing a full length soon? At 16 minutes, the EP is too short. We need more! JH: Ha, thanks! We have a handful of shows on the books for the first half of next year, and a couple potential mini-tours we’re working on, but after that we’re probably gonna take a bit to figure out where we want to go next and start writing for a full length. We’ve got a couple songs done, and ideas for plenty more so it’s just a matter of taking the time to work the ideas out and build the songs and whatnot. HX: What else do you want my readers to know? JH: Support your local scene!